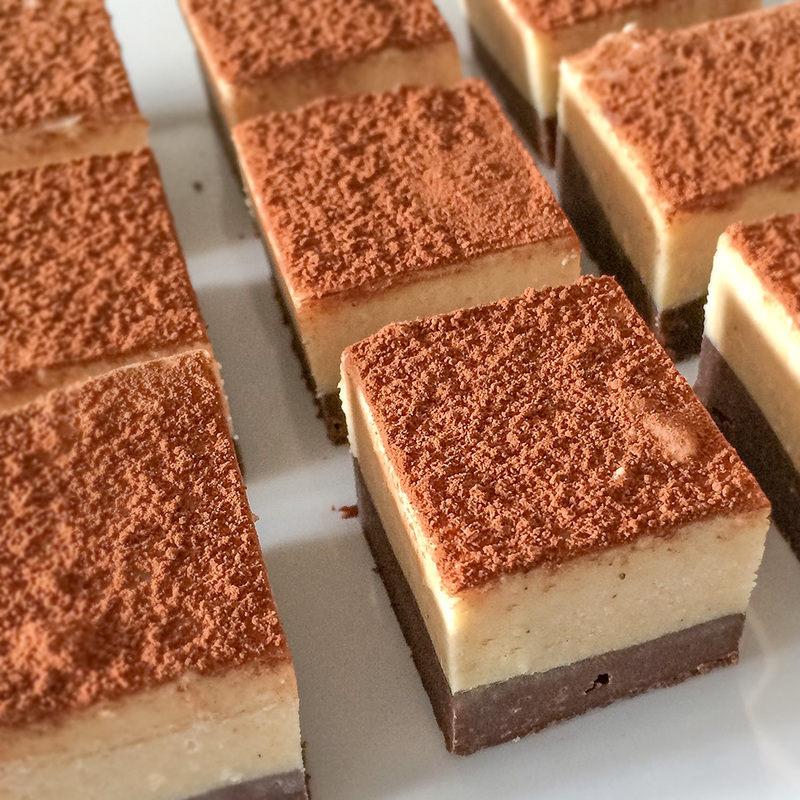 Tiramisu lovers will adore this fudge, with the perfect combination of flavours from dark chocolate, espresso, cinnamon and ladyfingers. Finished with cocoa powder. This fudge is chocolate based, which makes it extra creamy and full of fudgy flavour. It is best to store your fudge in the fridge for firmness, however it can be stored at room temperature in a cool shady spot. Best before: 3 weeks from date of dispatch. Fudge is handmade to order, so can take up to 5 working days to be dispatched. I also have many other flavours available so please do check them out. Condensed milk (whole milk, sugar). White chocolate (sugar, cocoa butter, whole milk powder, cream powder (milk), whey powder (milk), lactose (milk), emulsifier: sunflower lecithins; natural vanilla flavouring). sunflower lecithins; natural vanilla flavouring. Dark chocolate (sugar, cocoa mass, cocoa butter, emulsifier: sunflower lecithins; natural vanilla flavouring. Trifle sponges (wheat flour, sugar, egg, humectant (glycerol), whey powder (milk), dried egg white, salt, raising agents (diphosphates, sodium carbonates), flavouring, preservative (potassium sorbate). My Dad absolutely loved this fudge and said its the best Banoffee he's ever had, I've been told that next time he wants at least two bag! I really liked the packaging design and will definitely be ordering some more. We ordered three flavours to serve on a dessert table at our wedding - they were all fantastic and went down really well. We got lots of compliments from guests. Also very clear communications regarding delivery meant there was no stress about it arriving on time. Although I never eat it, my lady friend absolutely loves the Tiramisu fudge. This product is dispatched by Nellienoo Fudge. This item has a shipping weight of between 150g and 150g depending on the options selected. Totally delicious chocolate based fudge, extra creamy and full of fudgy flavour.